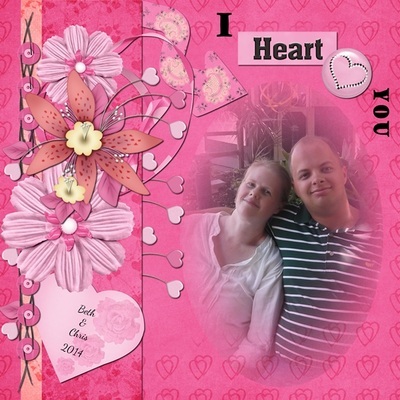 Pages that I have made for the designers at Wilma4Ever.com can be found in the subcategories above. 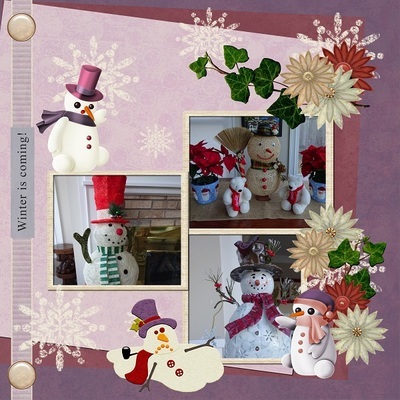 I will post the current months pages below so you can have a quick look at the new ones. 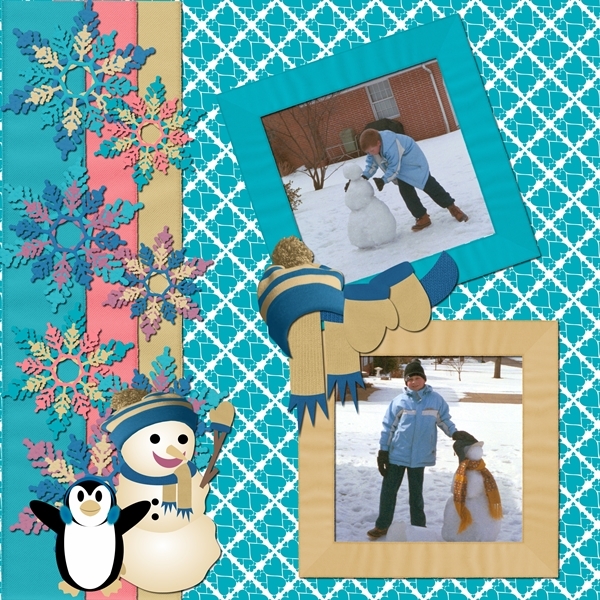 January pages have been moved, but freebies are still here on this page. I have also started making quick pages or cluster frames for some of the designers. You can have these for free, by clicking on the link below the image. 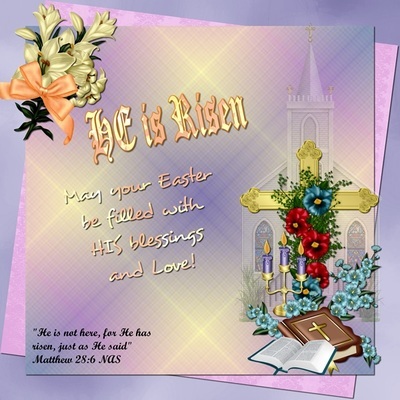 Remember these freebies are not to be redistributed to anyone else and cannot be sold. 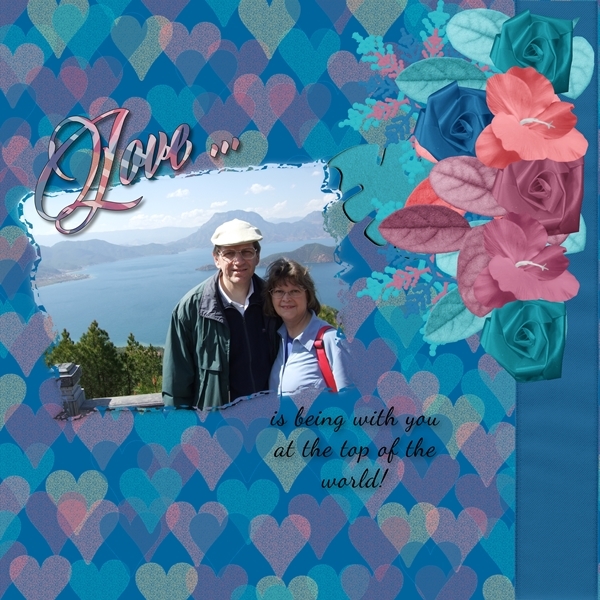 The designers have given me permission to use their products and I do not get paid for advertising or using their products. 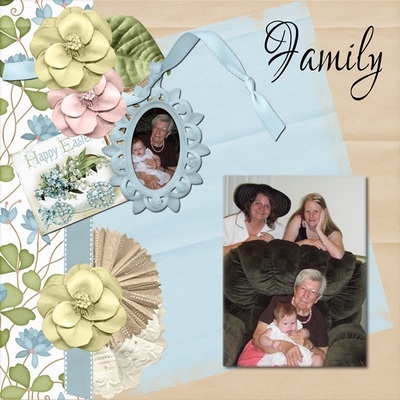 All of the layouts and freebies in this section are from www.wilma4ever.com. 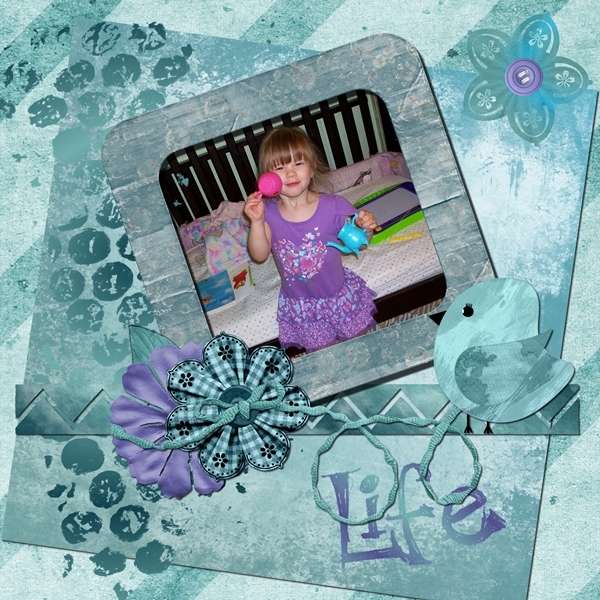 Newest layouts are now at the top. 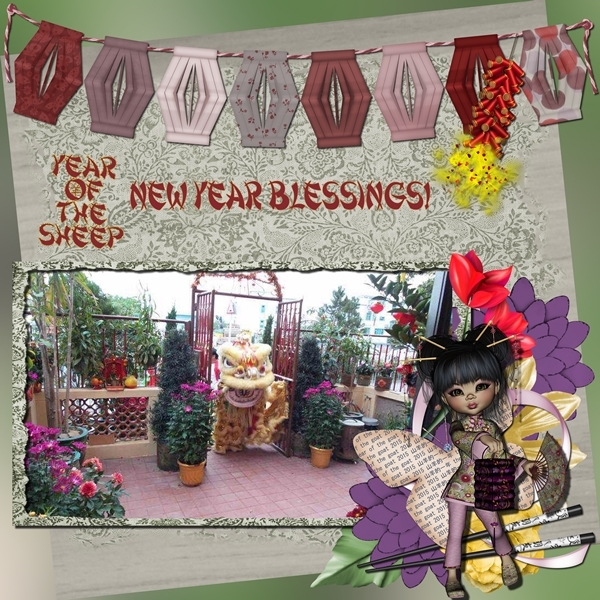 NOTE: 2017 - I have taken these links off line. If you would like any of these older freebies, please send me a note--the Email link at the very top of the Introduction page should work. 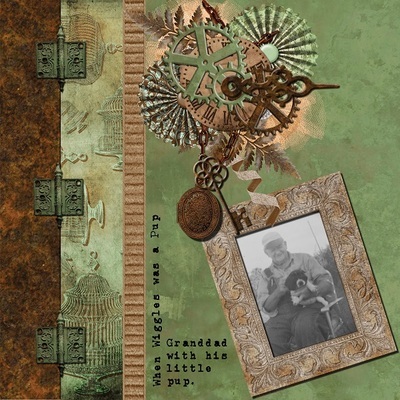 Kit by ScrappinWright - Grammy's Kitchen. 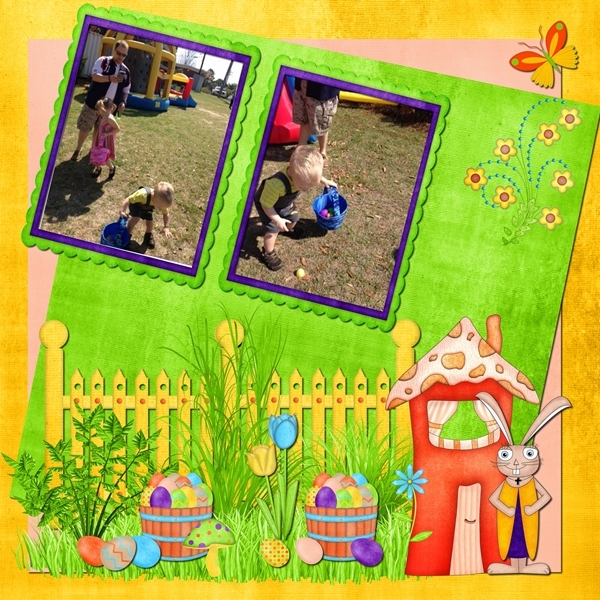 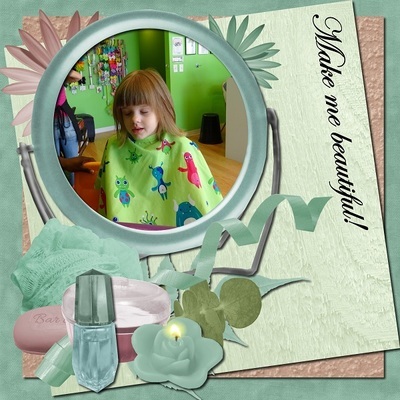 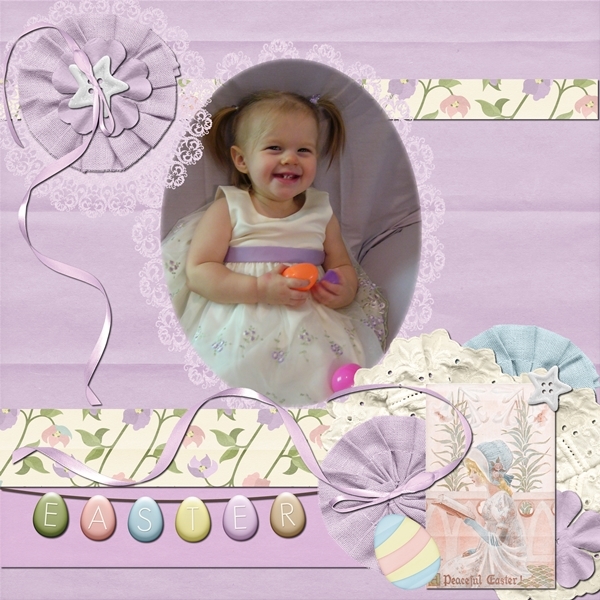 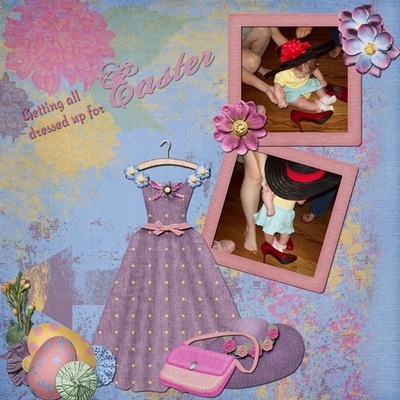 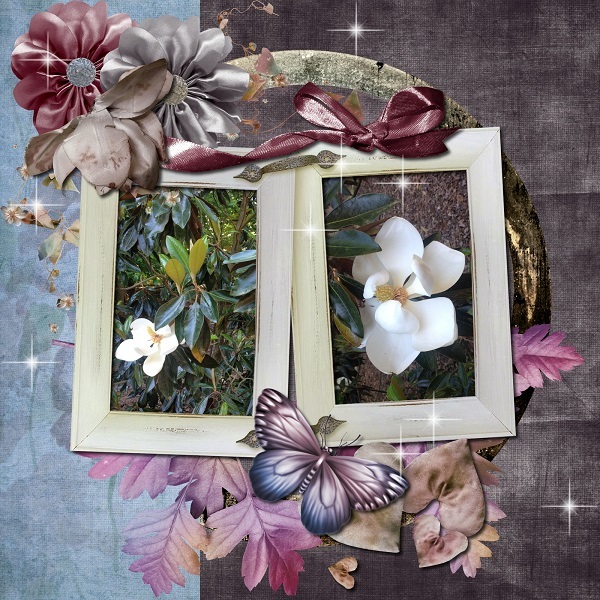 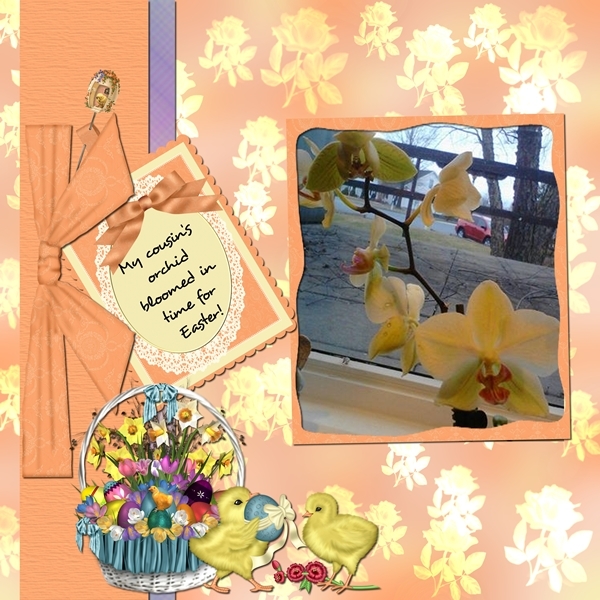 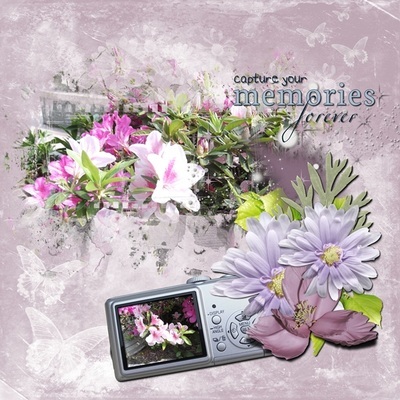 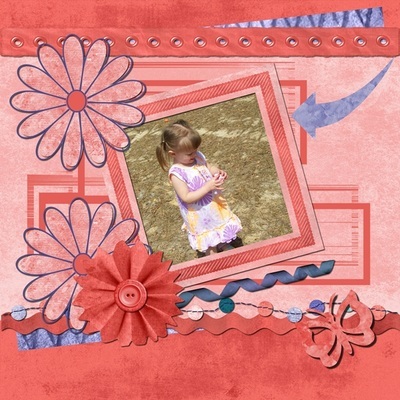 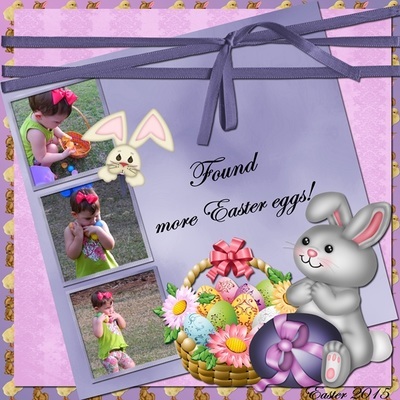 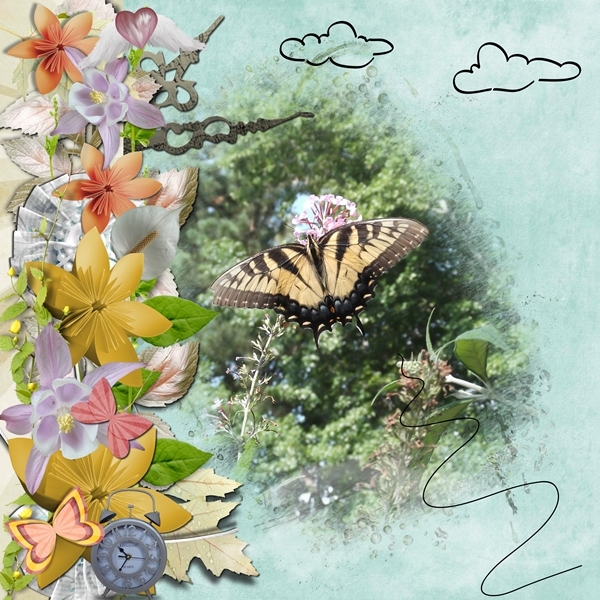 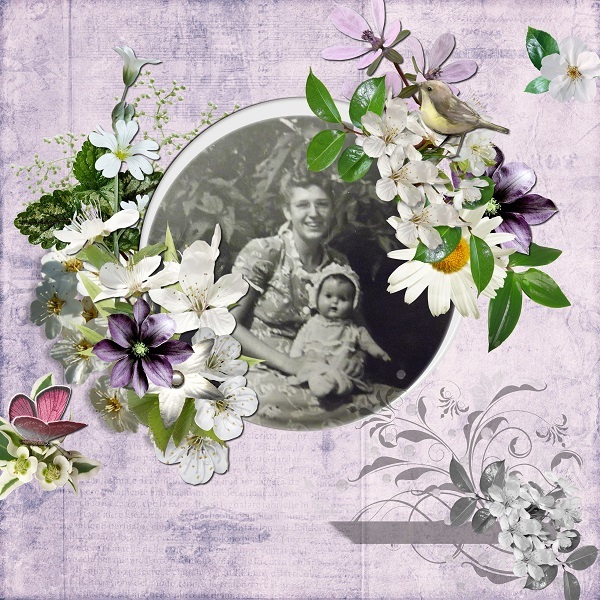 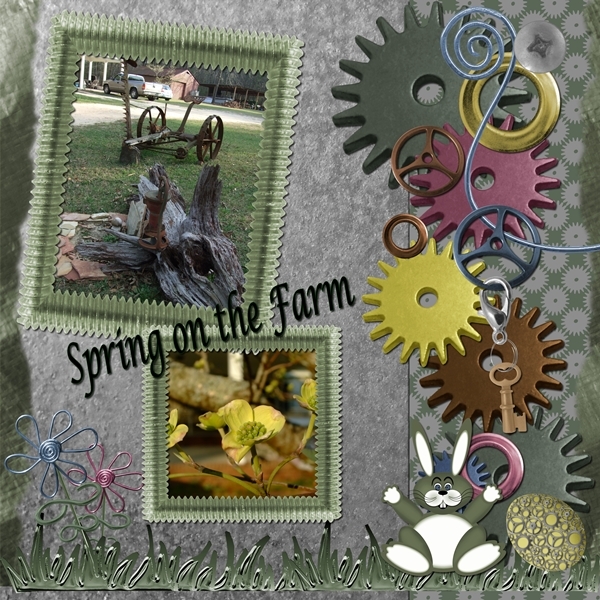 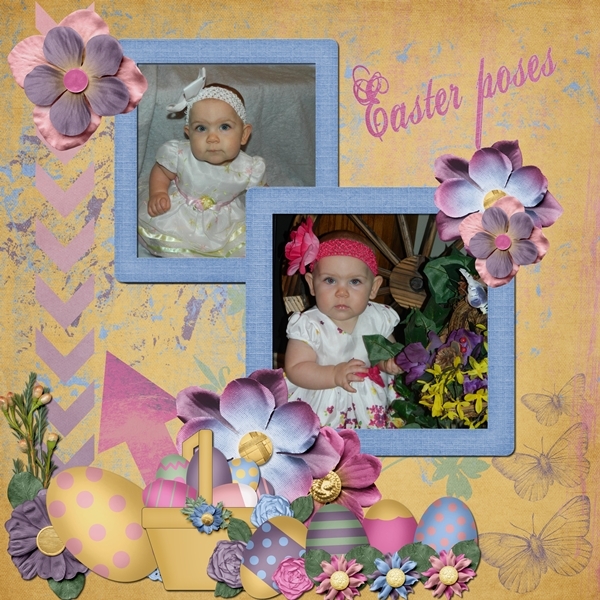 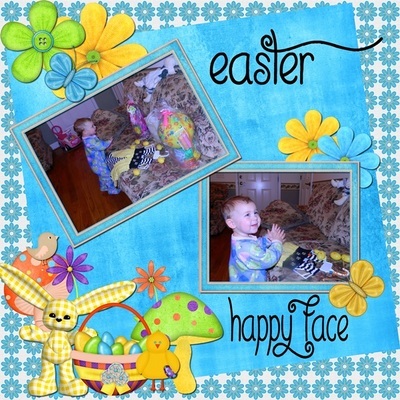 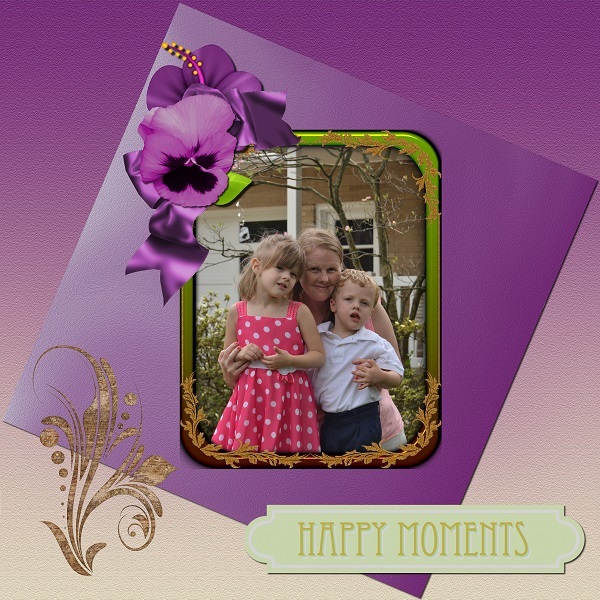 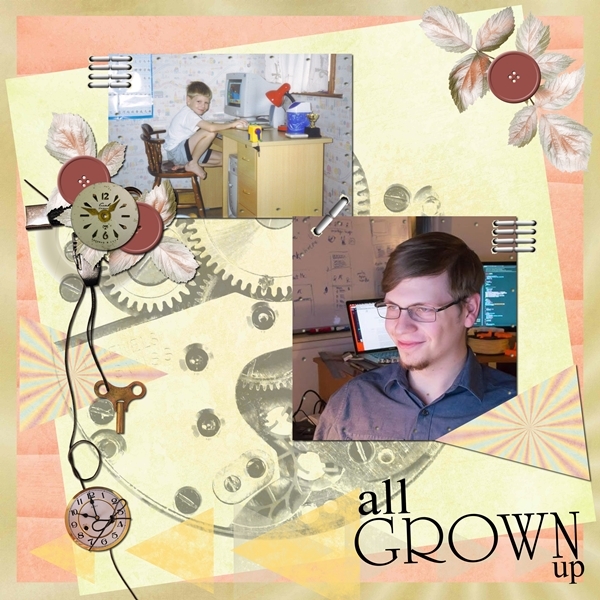 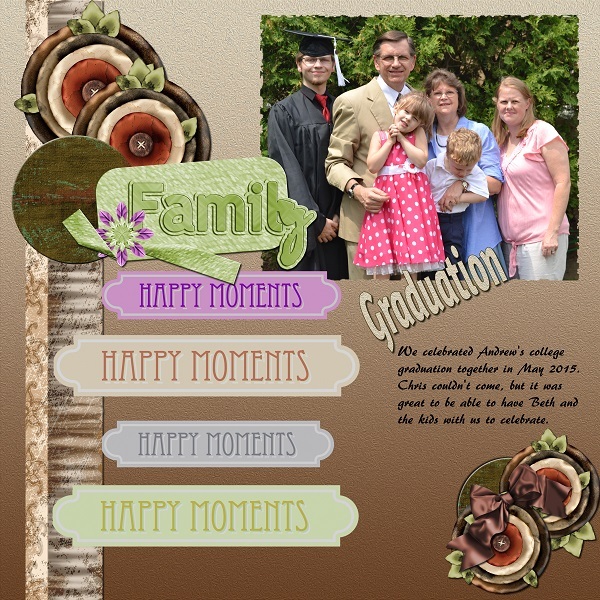 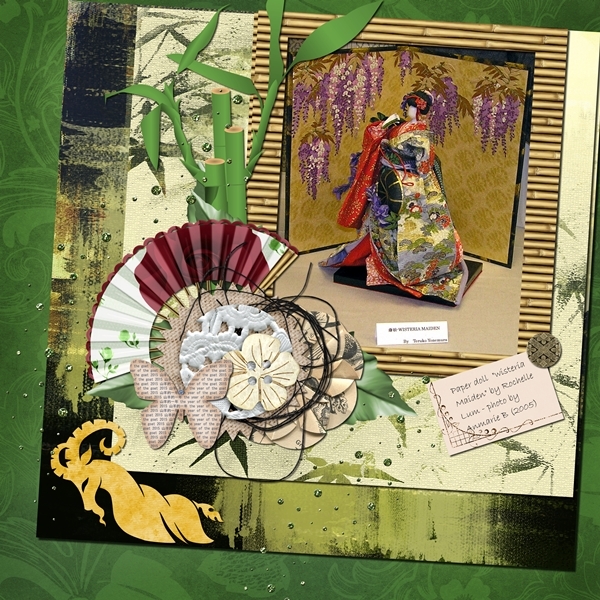 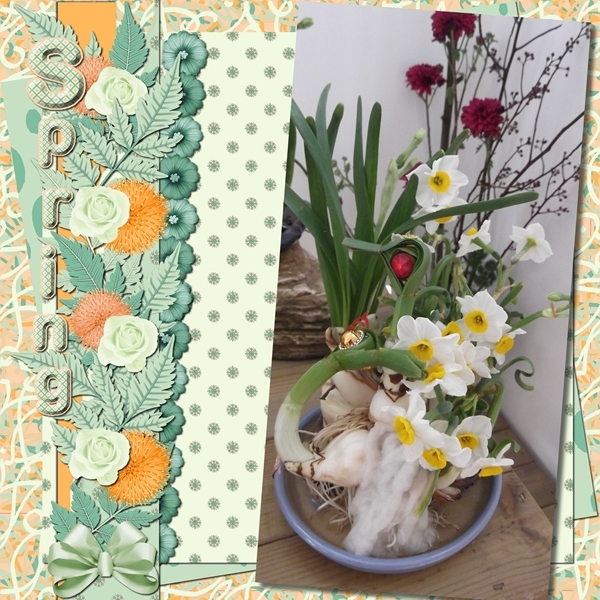 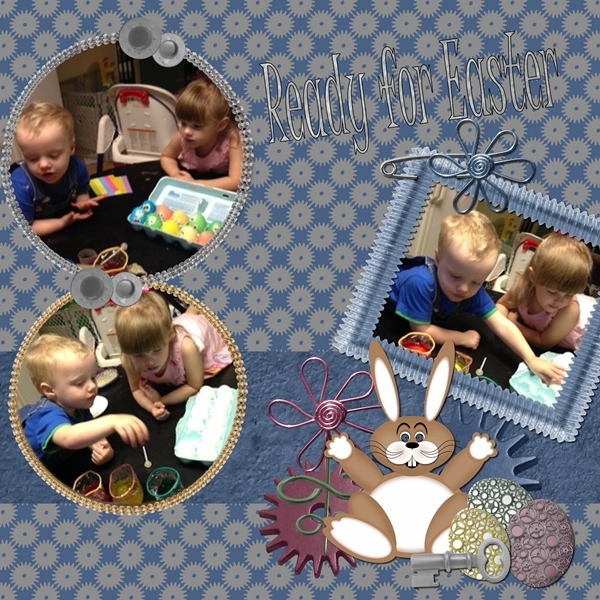 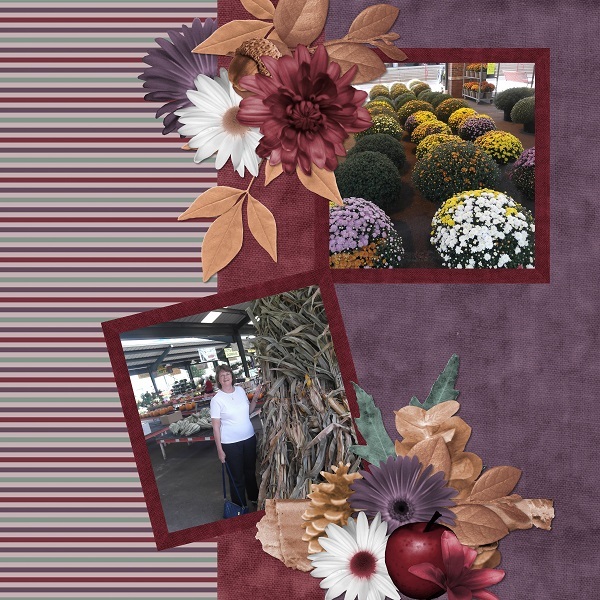 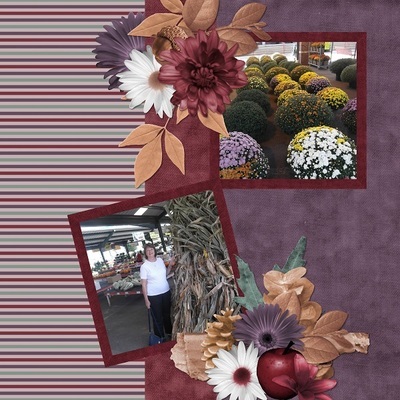 I made this quick page and cluster frame with ApriltheScrapaholic's kit Spring Time (see above). 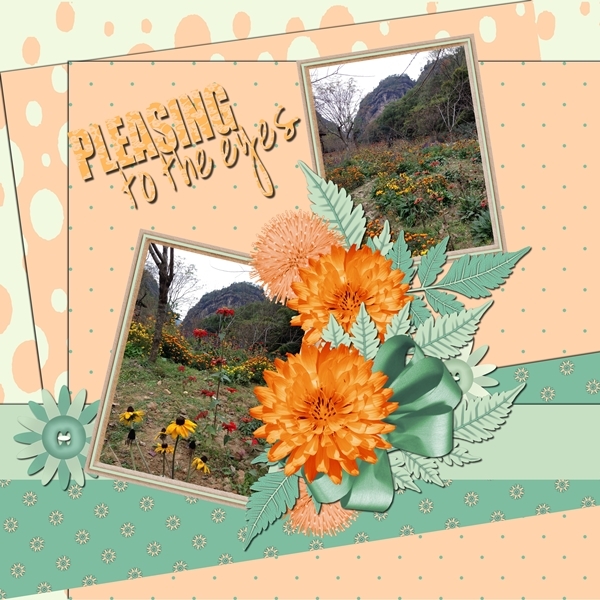 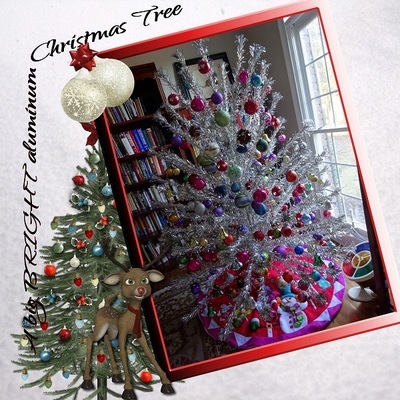 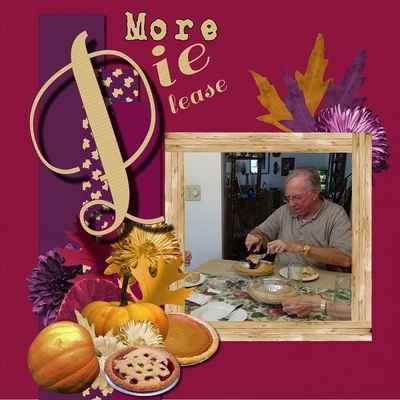 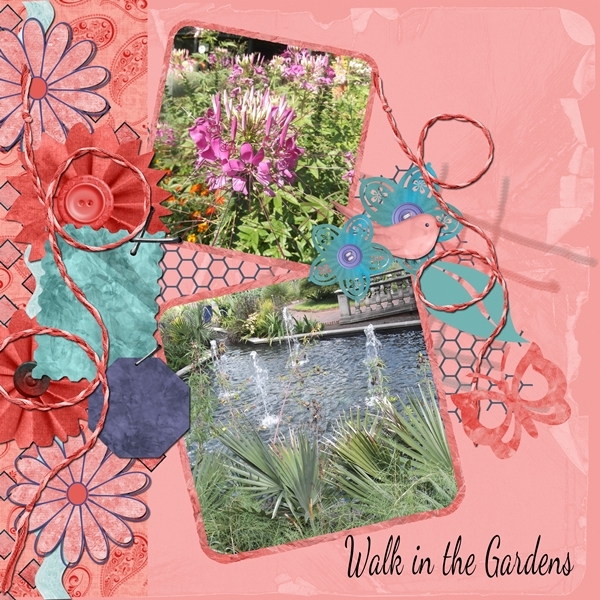 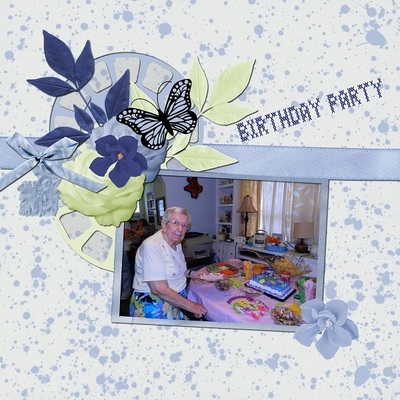 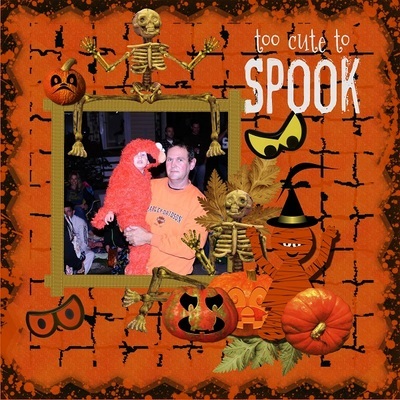 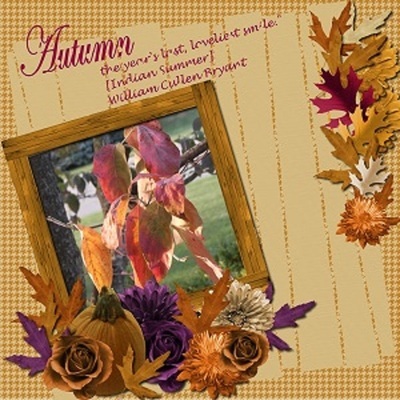 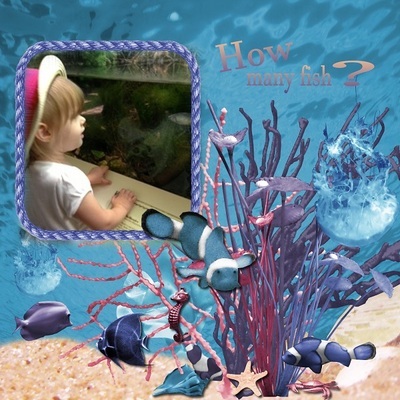 Click here for the link to this freebie. 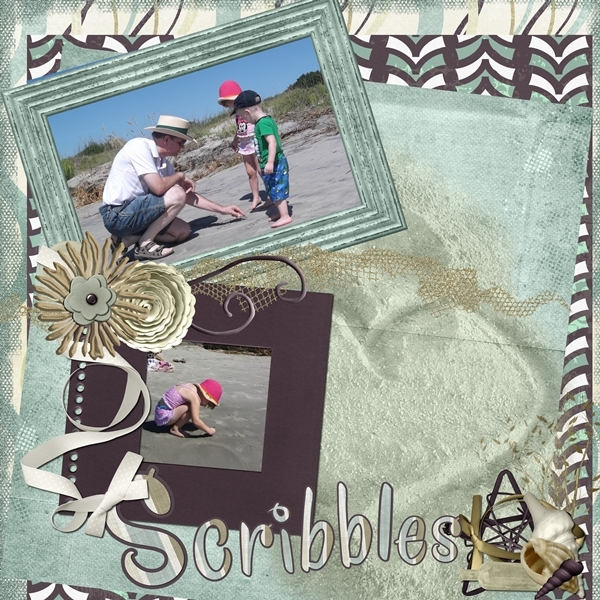 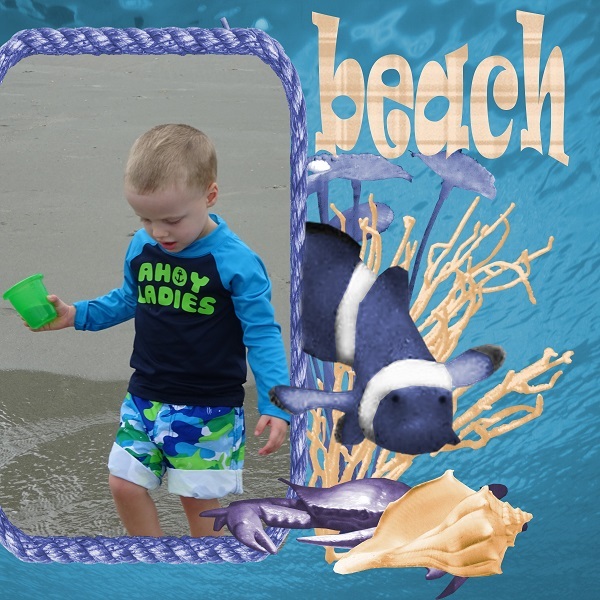 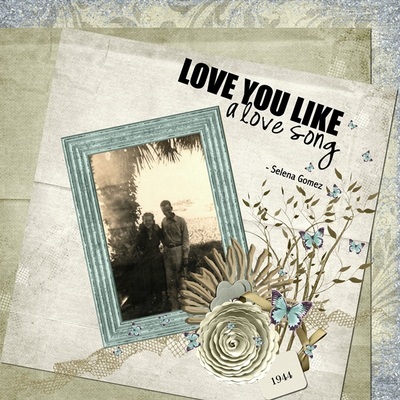 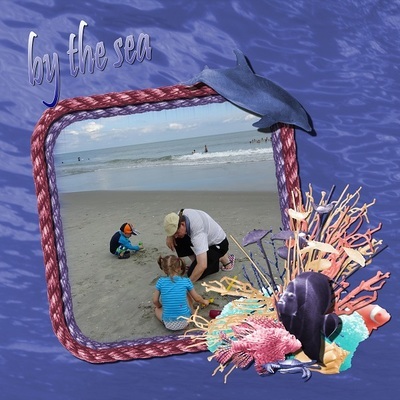 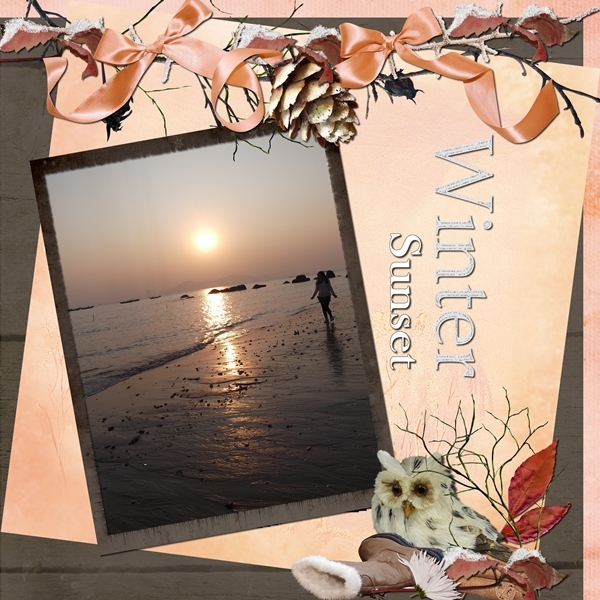 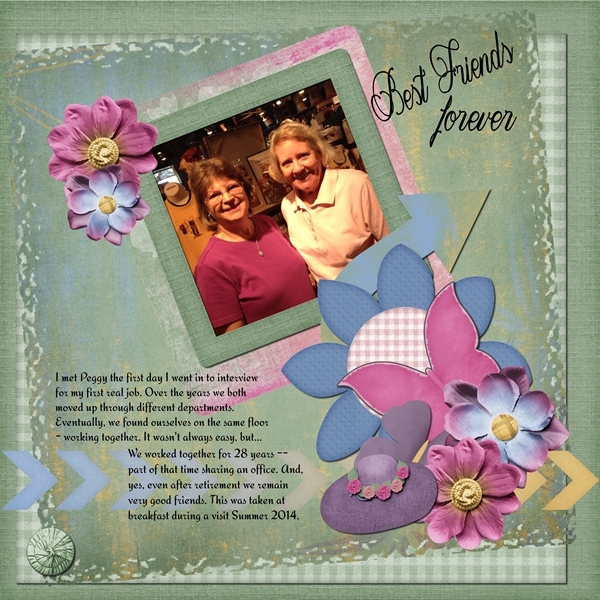 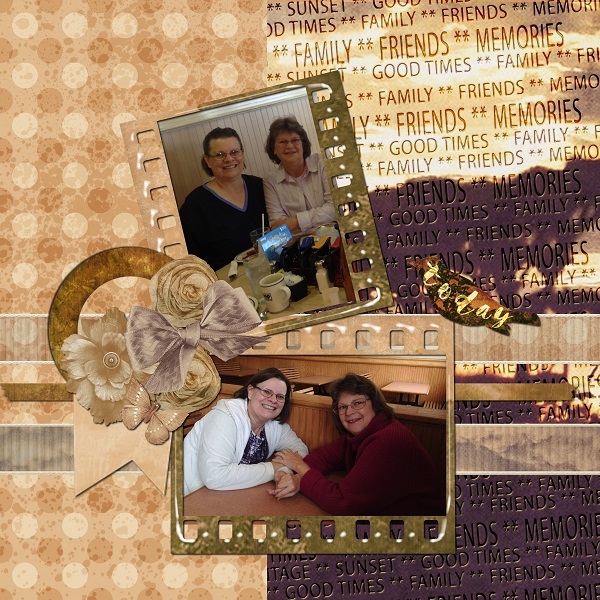 I made this quick page with a kit called Sand Between My Toes by Meg Scott Studio at Wilma4Ever. 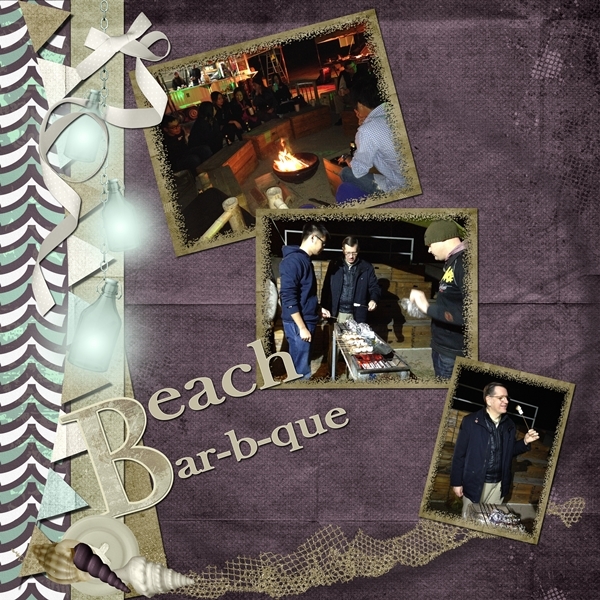 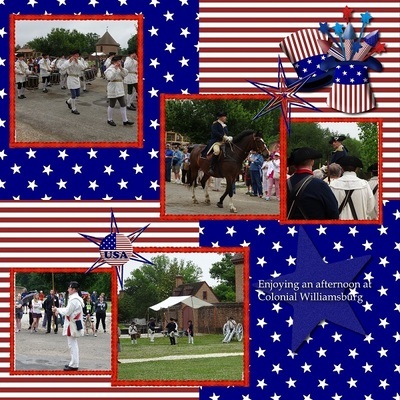 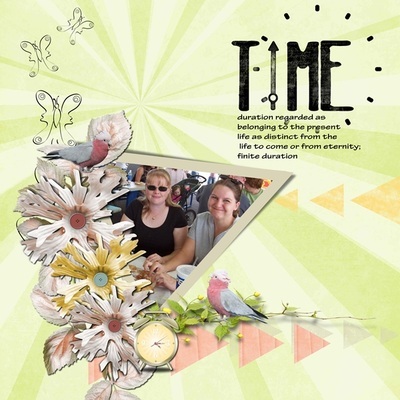 Click here for the link to this free quick page. 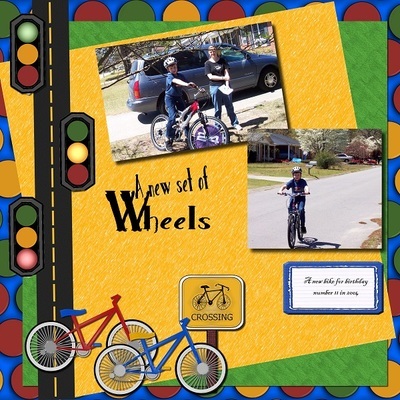 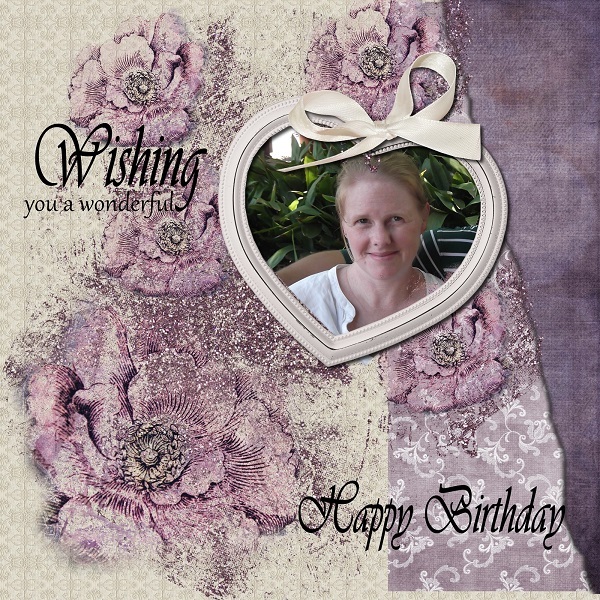 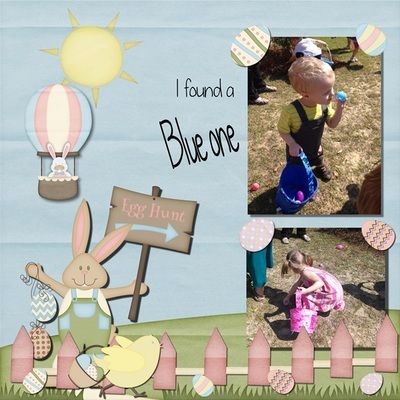 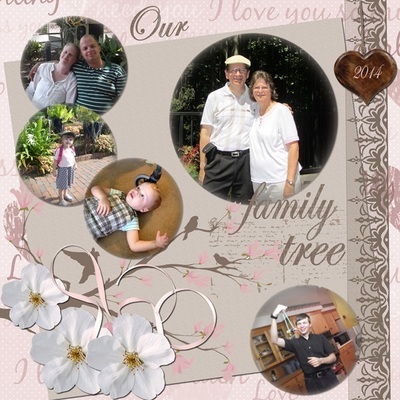 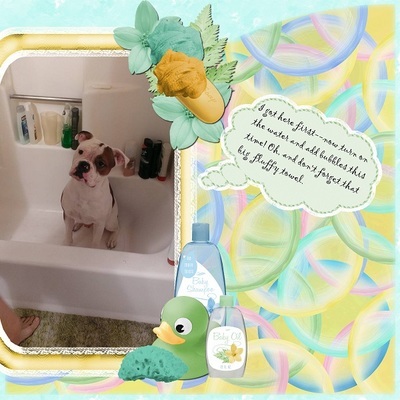 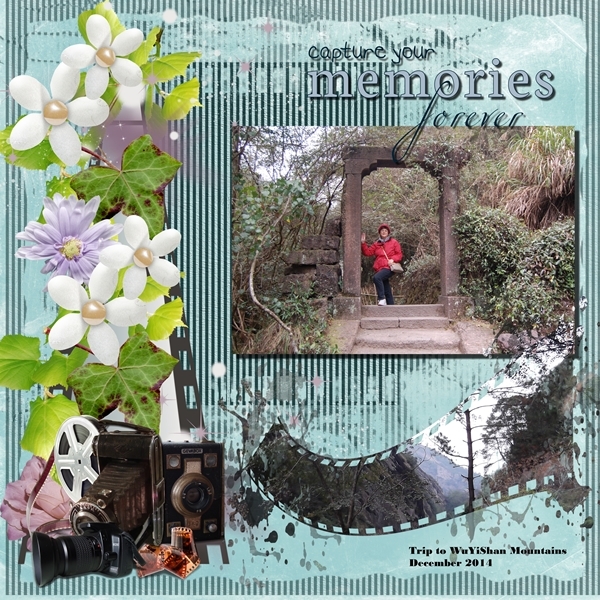 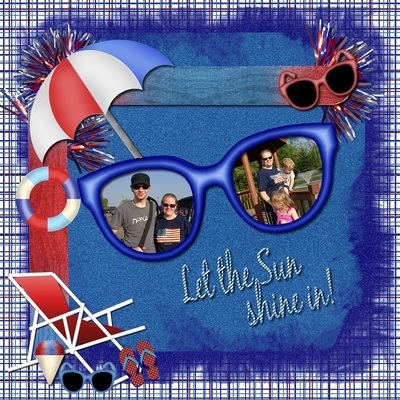 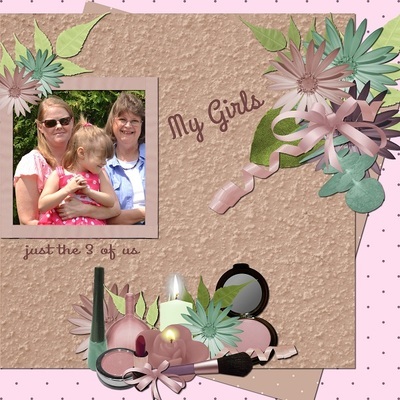 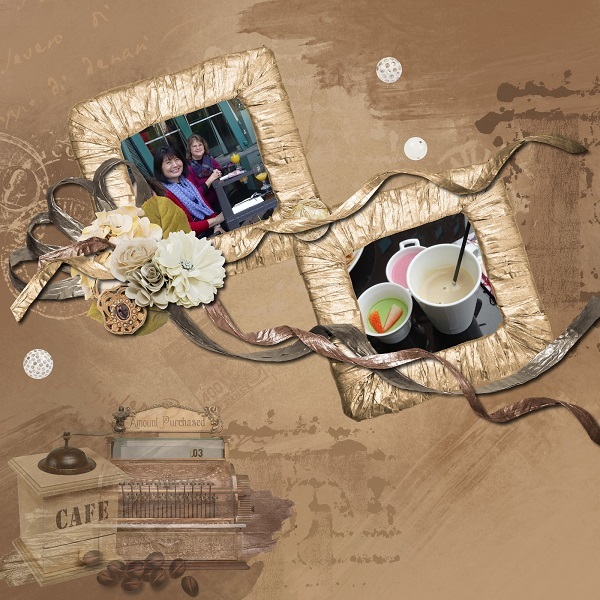 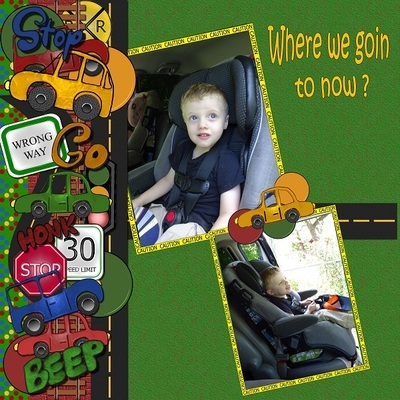 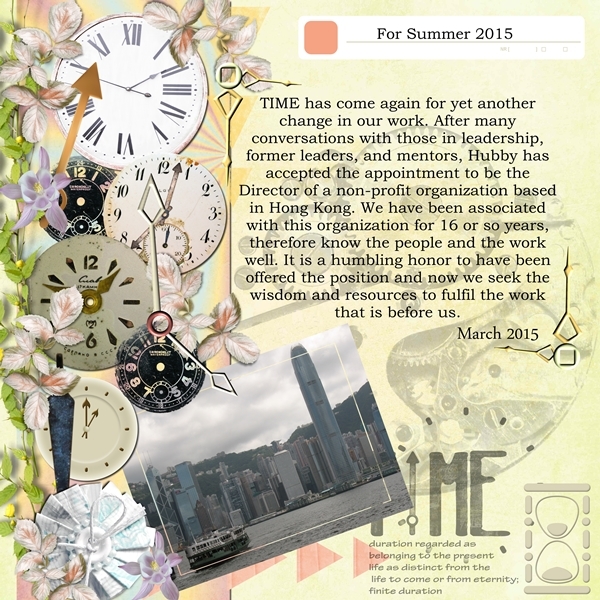 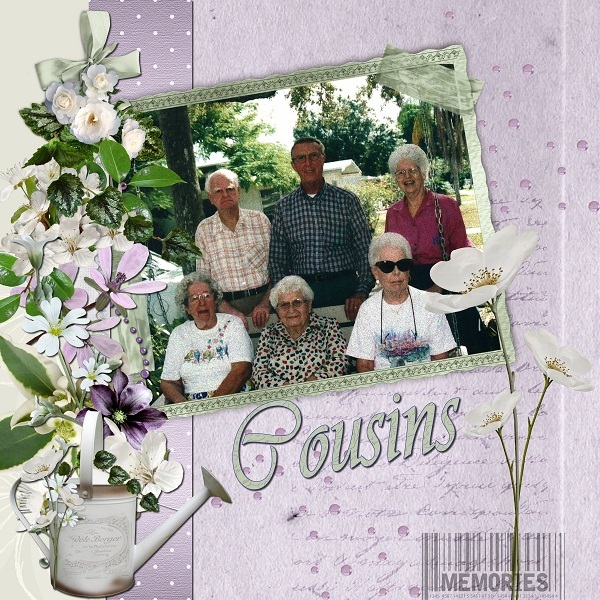 I made this quick page and frame cluster with ApriltheScrapaholic's kit TravelaroundtheGlobe-Texas. 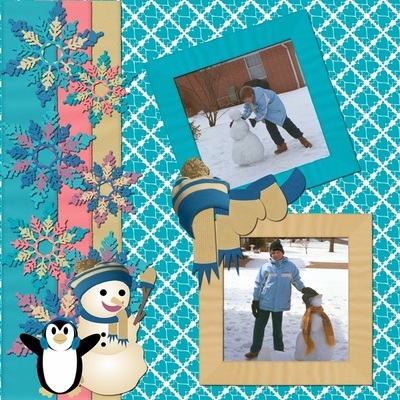 This stacked paper and border was made with ApriltheScrpapholic's kit Cold Hands, Warm Heart to be released February 15, 2015. 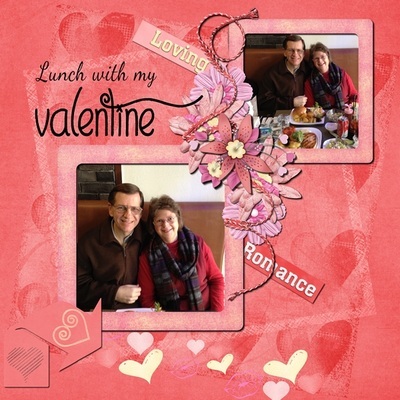 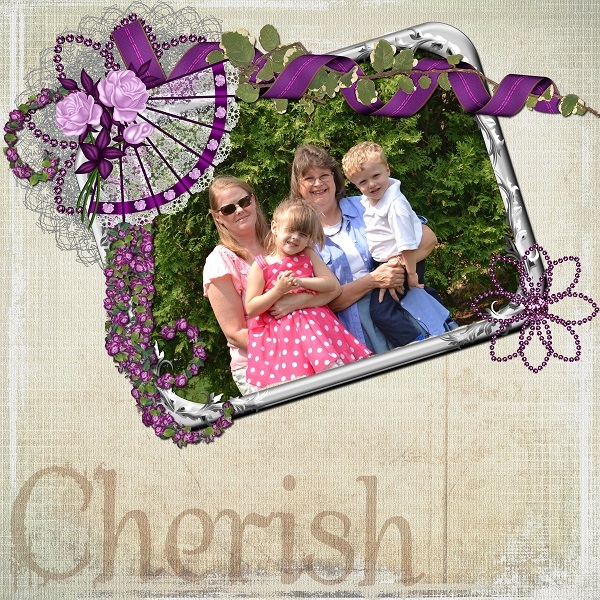 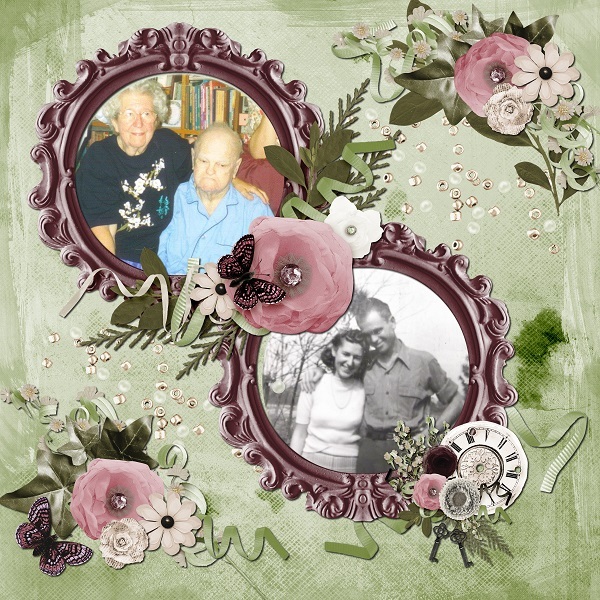 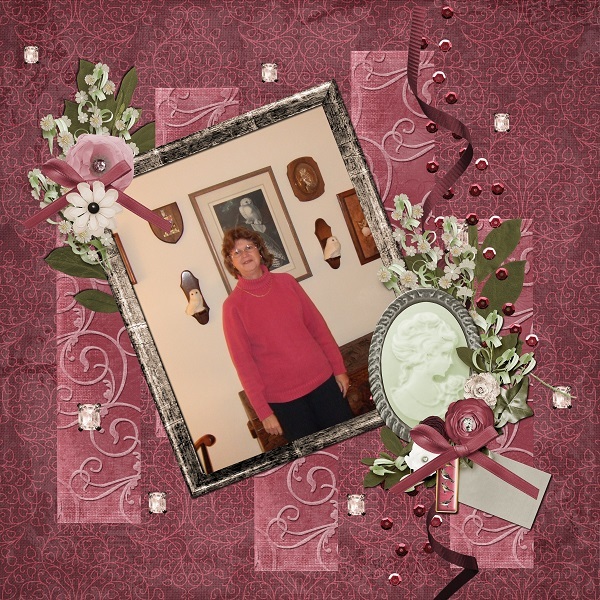 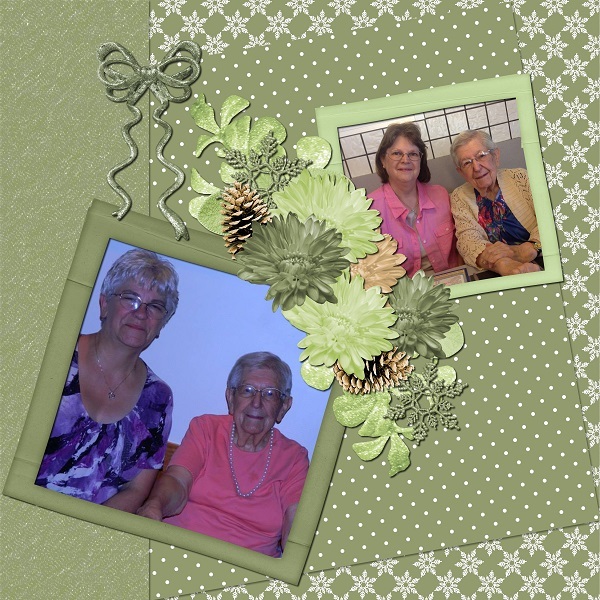 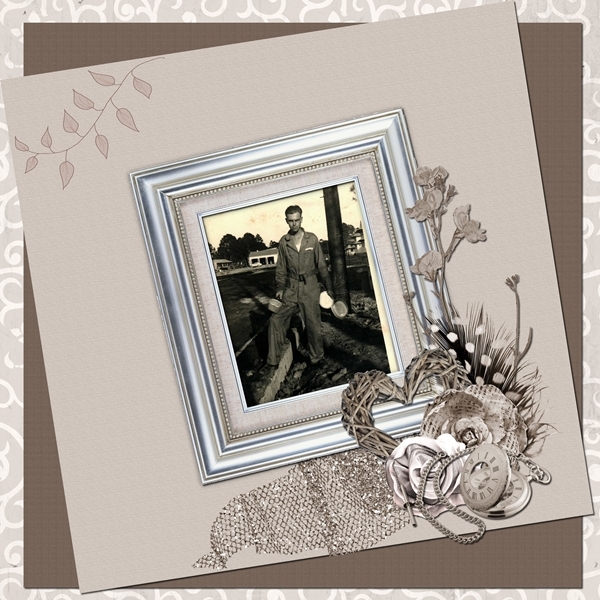 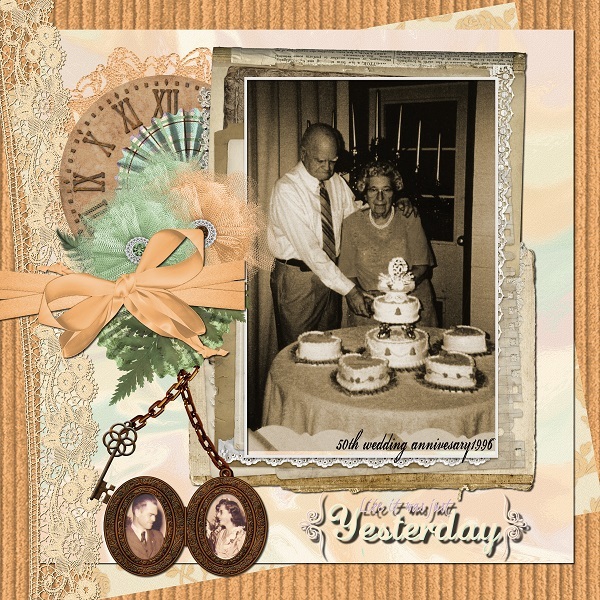 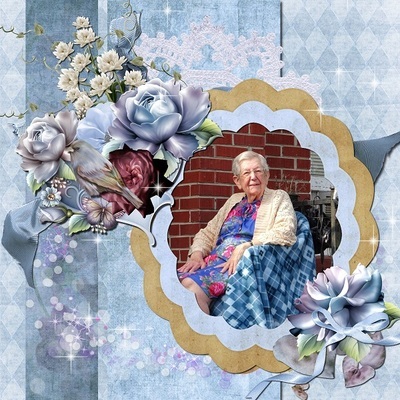 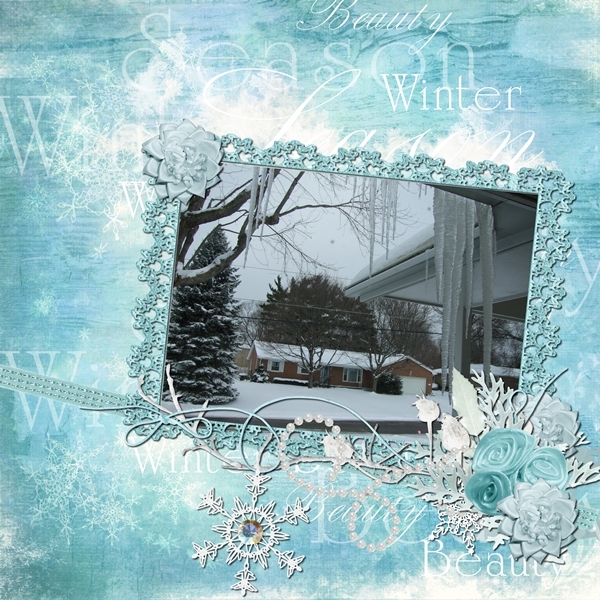 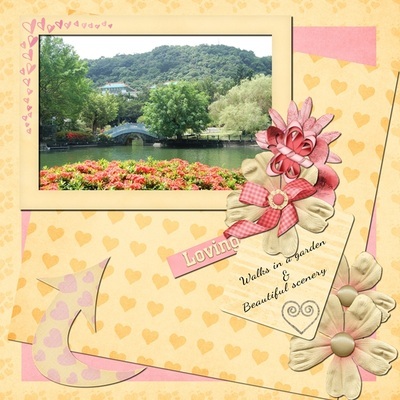 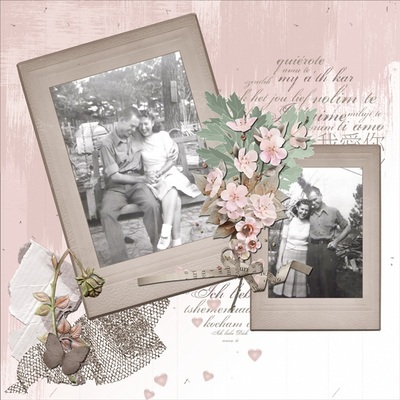 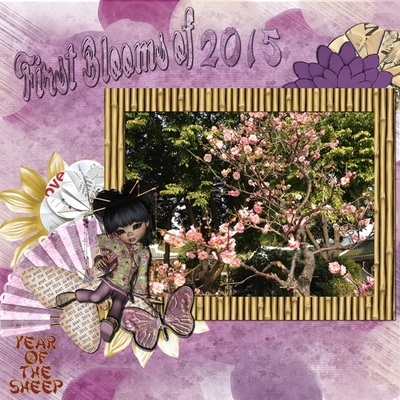 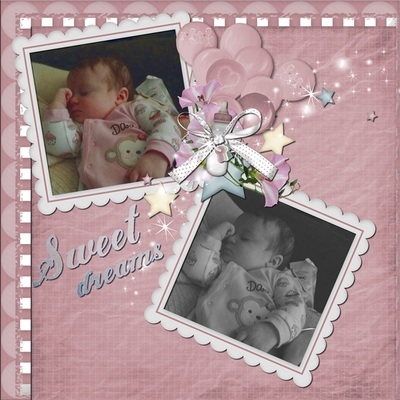 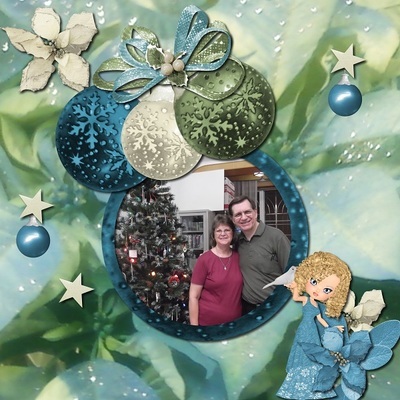 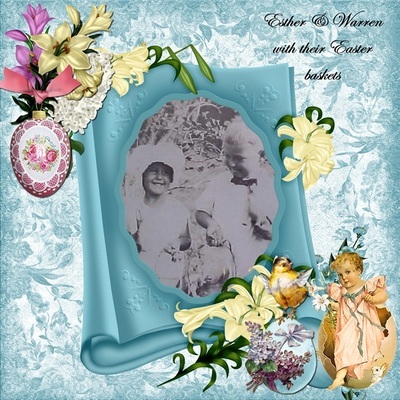 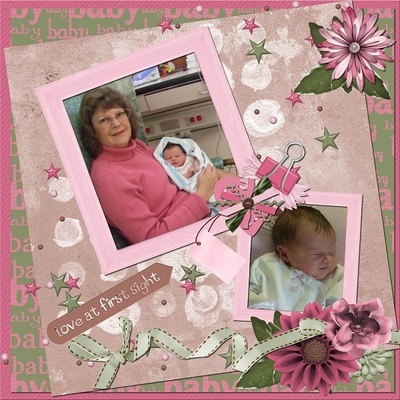 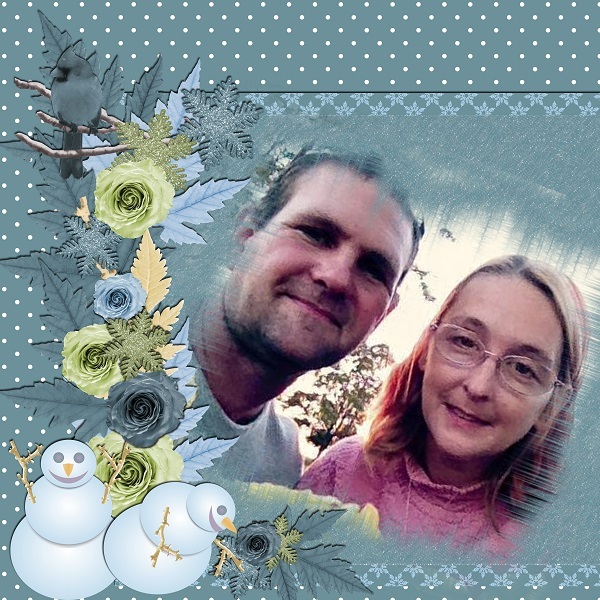 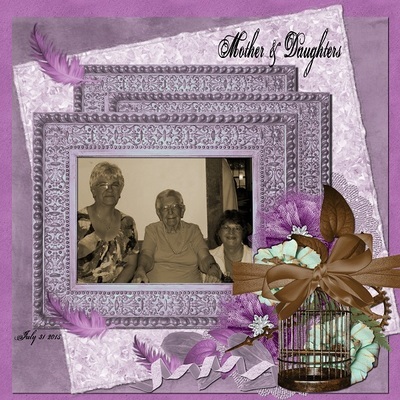 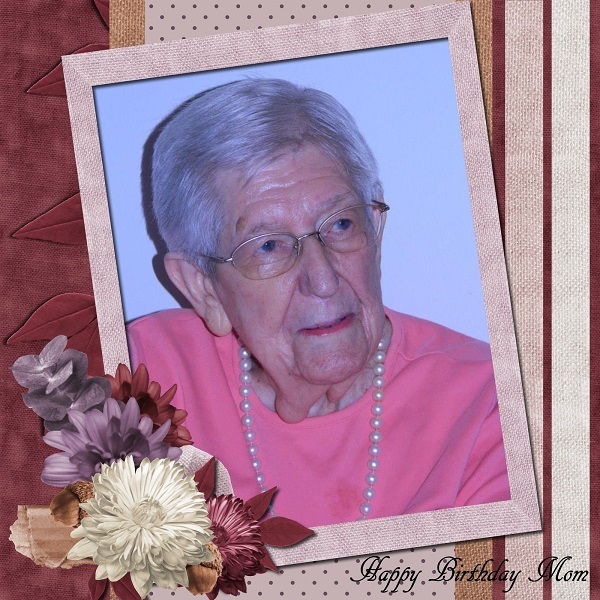 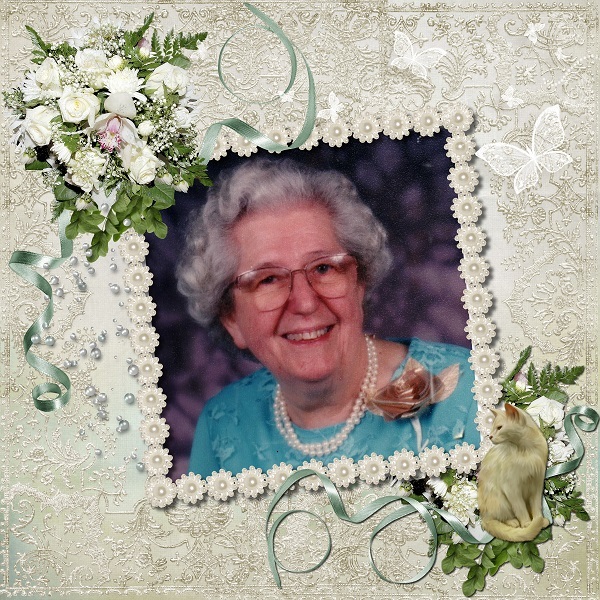 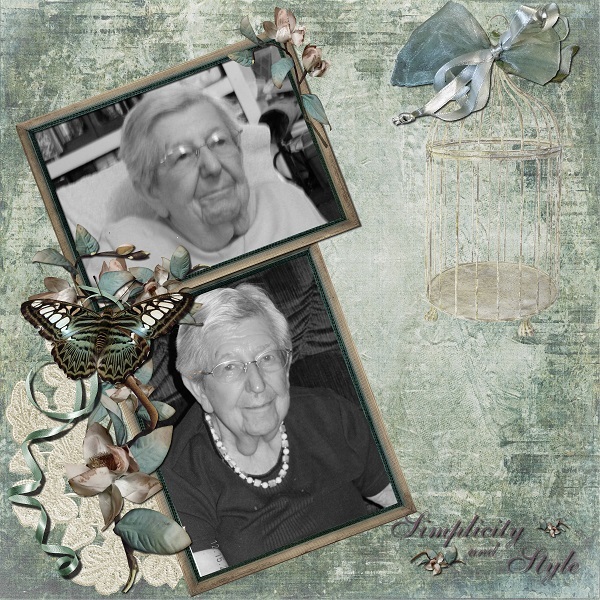 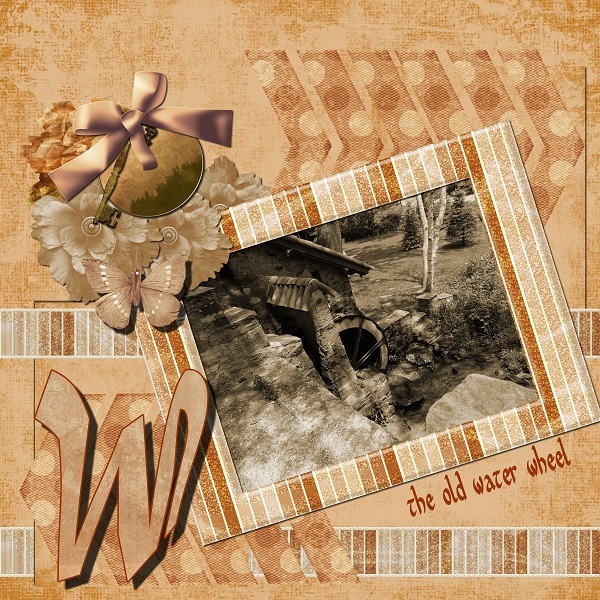 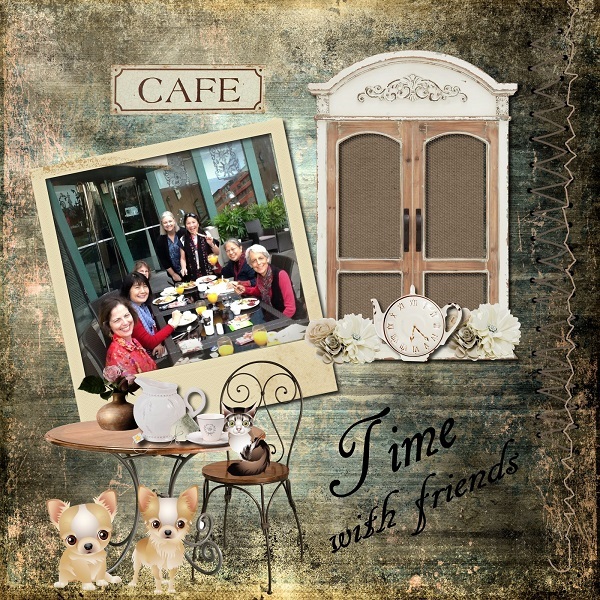 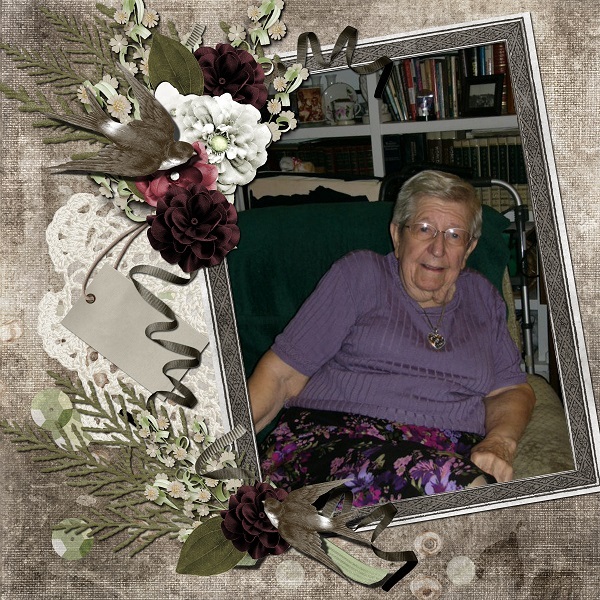 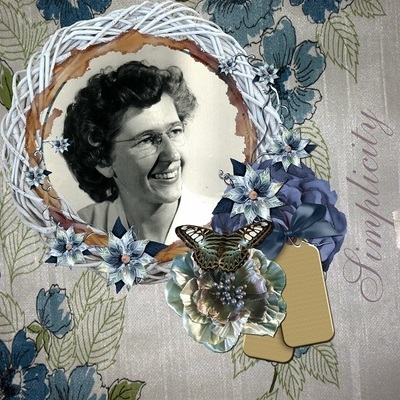 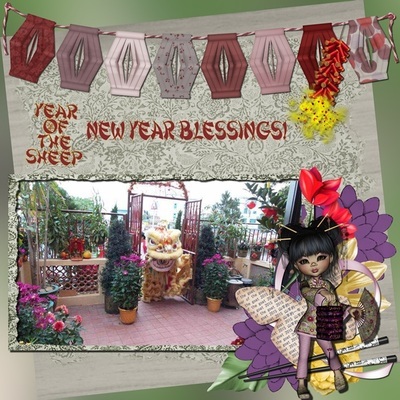 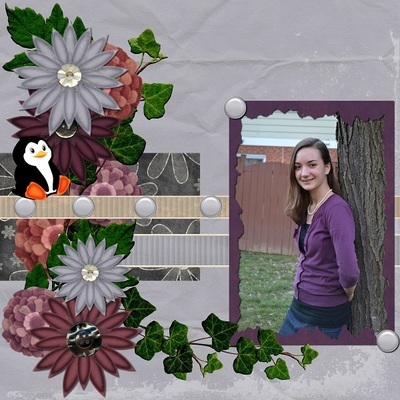 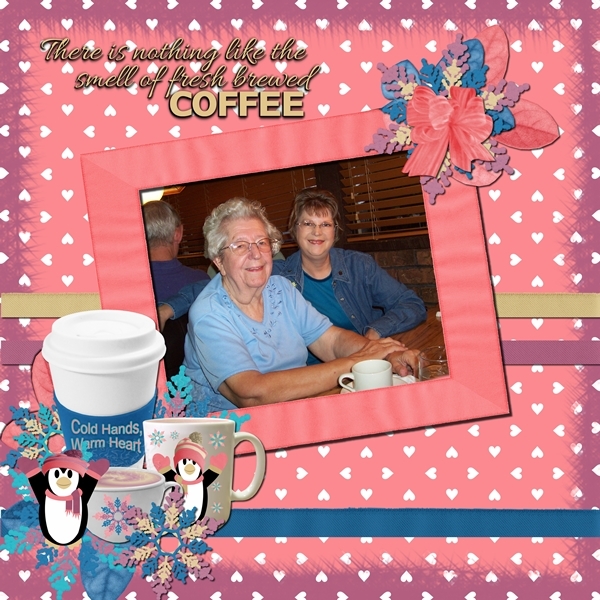 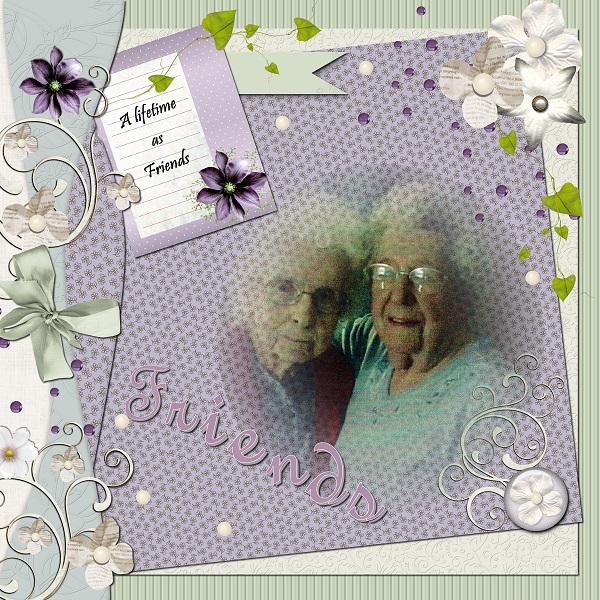 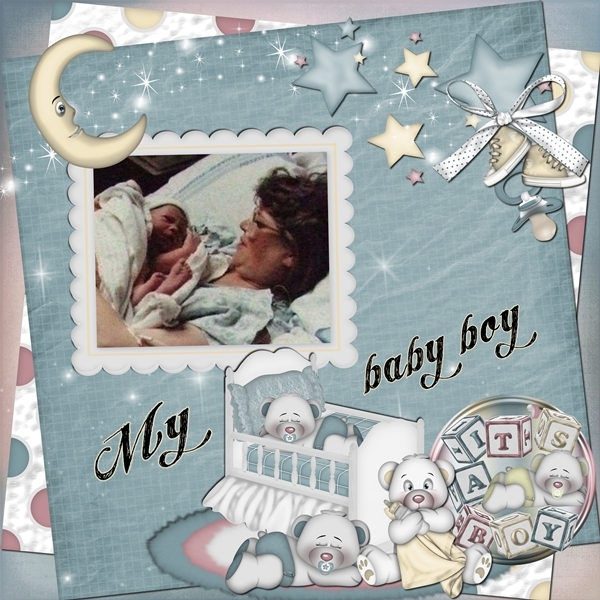 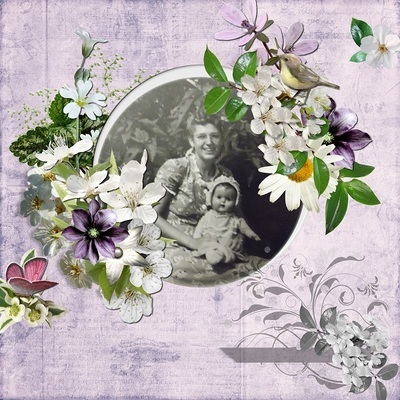 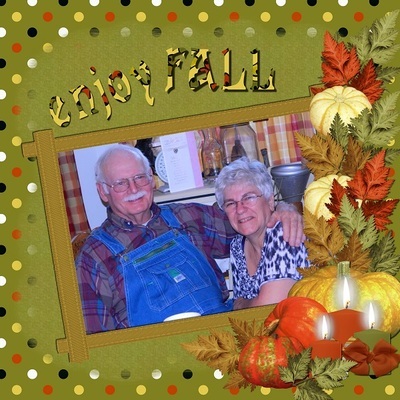 This frame and border were made with ApriltheScrapaholicl's kit Cold Hands, Warm Heart to be released February 15, 2015. 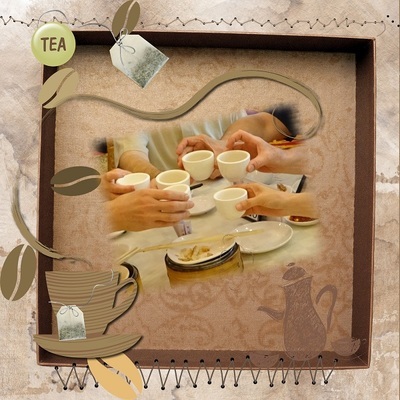 The most recent Freebies are now on Page 2. Thanks for stopping by.